Santa brought me this for Christmas. It’s a saw! A saw with fricken lasers on it! 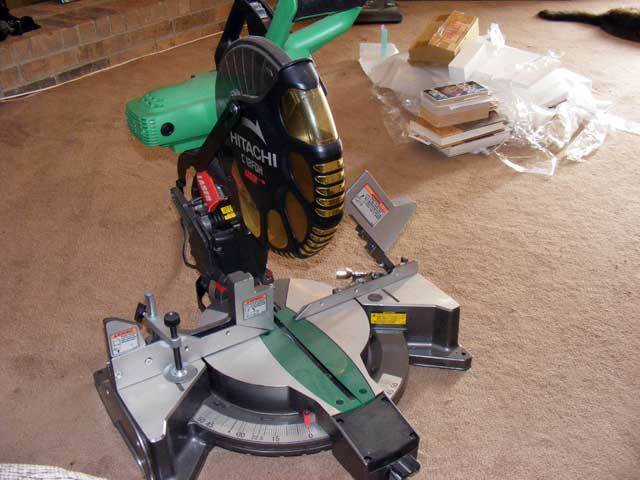 This is a 12″ Hitachi Compound Miter saw. With all the framing (with angles) I’ve got to do…not to mention trim…lots and lots of trim…this should make my job much easier and my work more accurate. It’s got a laser on it to project the position of the blade onto the work piece…thus, even more accurate. After a bunch of use I have to say…I use this saw MUCH more than I thought I would…probably more than any other saw. It is extremely helpful on the job, and very high quality.